RAVENOL PSF-Y Fluid is a synthetic power steering fluid based on high quality hydrocrack oils together with special additives and inhibitors for smooth and efficient operation of the latest systems as required by many manufacturers as listed below. RAVENOL PSF-Y Fluid is specially designed for use in the latest power steering systems from Volkswagen, Mercedes and Chrysler vehicles, but also meets other OEM requirements such as Honda and GM. Please follow the specifications in vehicle handbook to ensure correct application. 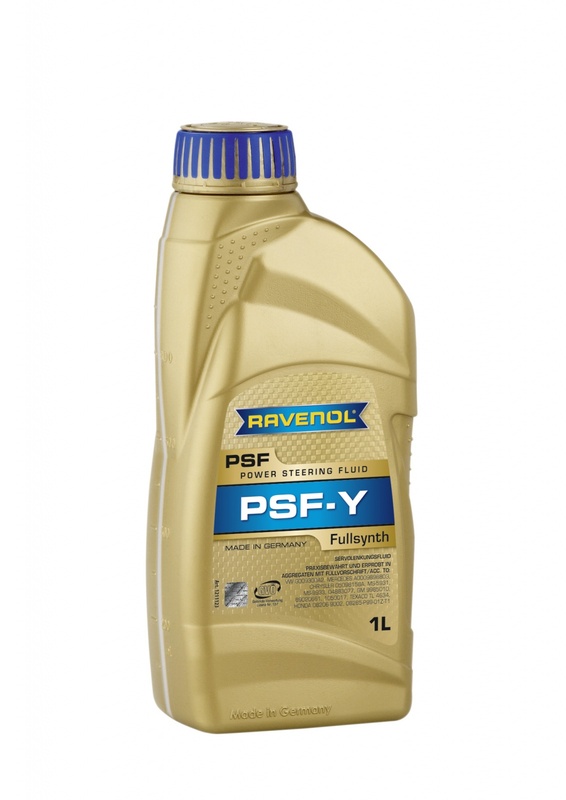 Ravenol psf-y fluid was the only suitable replacement oil for my old car's power steering that I could find and at the right price. After a quick delivery the car is now back on the road. I recently started an internet searh for P.S. fluid for my `90s vehicles; I had particular problems locating a product for my Saab. This vehicle requires a product that I found extremely hard to identify in today`s marketplace, after much research I found what I needed in Ravenol`s highly comprehensive range. As a pensioner with a hobby I will not be buying a lot of oils,however I can say that all such purchases will now be made from Ravenol, I am very impressed with this company, from the brilliant and informative catalogue and product range through to the excellent delivery service !